It is very rare to see these creatures in the wild. 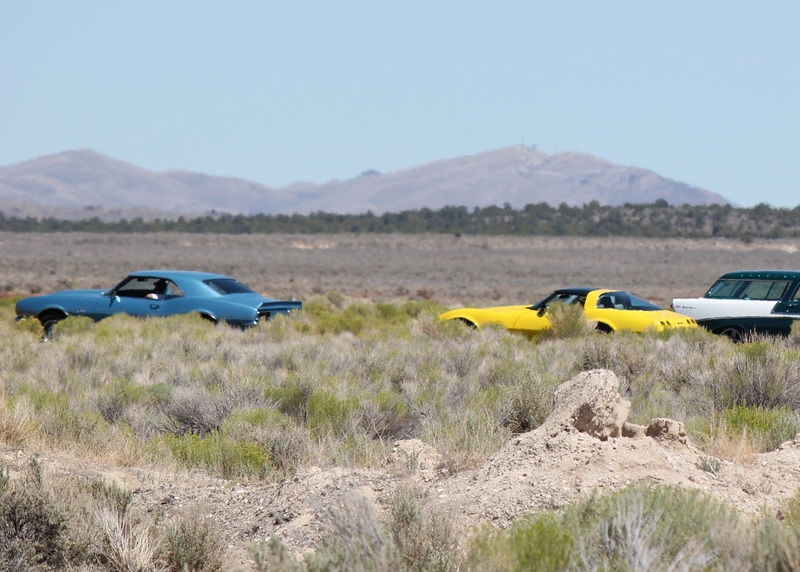 Here, a lucky photographer was able to snap a shot of three General Motors products cavorting in a barren, desert habitat. In the photo, you see a 1968 Camaro, 1978 Corvette, and 1956 Nomad all seemingly coexisting peacefully. A peacefulness that will quickly evaporate should an attractive Saturn Sky drive by. 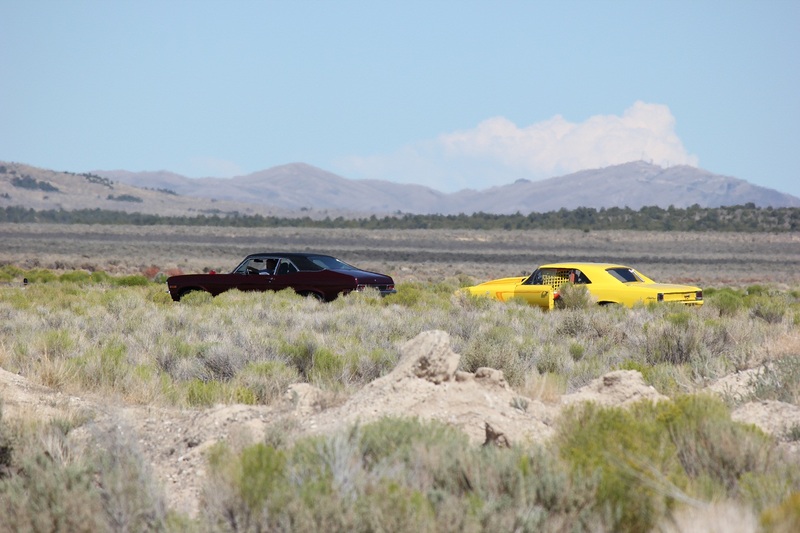 Hit the jump for another shot – this time of a 1970 Nova and a 1966 Chevelle. Eat your heart out birdwatchers! This entry was posted in Photoshoot, Quick Hitter and tagged Spotted in the wild, Wells Fun Run, WFR 2012, You drove where?. Bookmark the permalink. Too funny. Sure am glad I wasn’t drinking milk when I read this post.